A number of people have asked me what it’s like to be a technical writer at Google. I became a Googler three months ago. Now, as my manager remarked so eloquently, “the Noogler sheen is wearing off” and I’m settling down to regular Googliness. So, what’s it like? To answer the question, I’ve started by jotting down some random thoughts, followed by a “day in the life” ramble. I hope this gives you a good idea of what I get up to. I’ve just returned from an internal Google technical writing conference called Burning Pen. It was awesome! Approximately 200 writers attended, from all over Google. 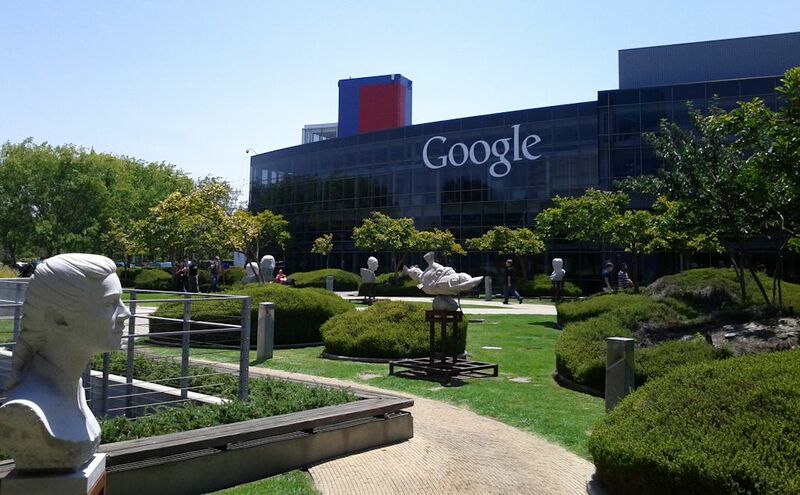 We congregated at the Googleplex in Mountain View, California. There were two days of sessions, running two streams all day each day. I met many great people and learned a lot about what other Google writers are doing. It struck me that we’re all doing vastly different things: writing text on user interfaces (such as the labels on Google Maps), creating and curating content for Zagat reviews, developing API and developer-focused documentation (that’s my role), documenting internal tools for Google engineers and other staff, writing online help for Gmail and other consumer products, and more. Random thoughts – what’s it like to be a Google technical writer? It’s “technical”. I’m an API technical writer on Google Maps, which means that I show developers how to use the application programming interfaces (APIs) to integrate Google Maps into their own applications. As well as APIs, we document other developer products such as SDKs (software development kits) and other frameworks. We need to think like engineers, and understand what sort of thing external engineers will need to know about our products. It’s fast, exciting, challenging, all-encompassing. My laptop is never far away, and I hack away at change lists between meetings, presentations, and bites to eat. While waiting for a plane, I fix a quick bug. While on the bus, I start triaging my email. Team work is what makes the Google world turn. There’s always someone to turn to when I have a question. I get the impression I’ll be hacking and inventing with other people throughout my career here. Like all technical writers, I like to feel that my work is valued. I definitely get that feeling here. I’m part of a team of people who rely on each other to get the job done. Documentation is a core part of the product, not an afterthought. Work comes in small chunks. It’s a never-ending flow, but I get to tick things off regularly. For me, that’s very satisfying. There’s plenty of opportunity to get in the zone and write. Yes, there are meetings and activities. Sometimes the “fire hose” of information can be overwhelming, but I learned quickly to filter the flow so that I get only what’s relevant to me. Everyone has an opinion, and most people express theirs strongly. I sometimes need a loud voice and a touch of stubbornness to make my opinion heard. Travel opportunities abound. I’ve been here three months, and already flown to Mountain View twice. My first visit was just a week after I started work. There are good opportunities to make your mark. I’ve already presented a session at an internal Google conference. More? Intensely interesting technologies. Vast scale. Innovation. The good feeling that I’m part of a company that’s making a difference in the world, and that cares very much that that difference is for the good. I arrive early, around 7:30 in the morning. But I’m nowhere near the first to come in. People drift in at all times of the day – whatever suits them. I drop off my laptop at my desk, and make a beeline for the coffee machine. On my way past a certain meeting room, I smile at a pair of bare feet. For some reason, there’s always a guy in that meeting room at that time of day, relaxing in a chair and chatting with someone via a Google Hangout. All I can see is his feet and ankles, because the rest of the glass is shaded. I’m guessing he’s talking to family somewhere on another continent, and very early in the morning is the best time to catch them. Next stop Big Red, for a heart-punching cup of coffee. 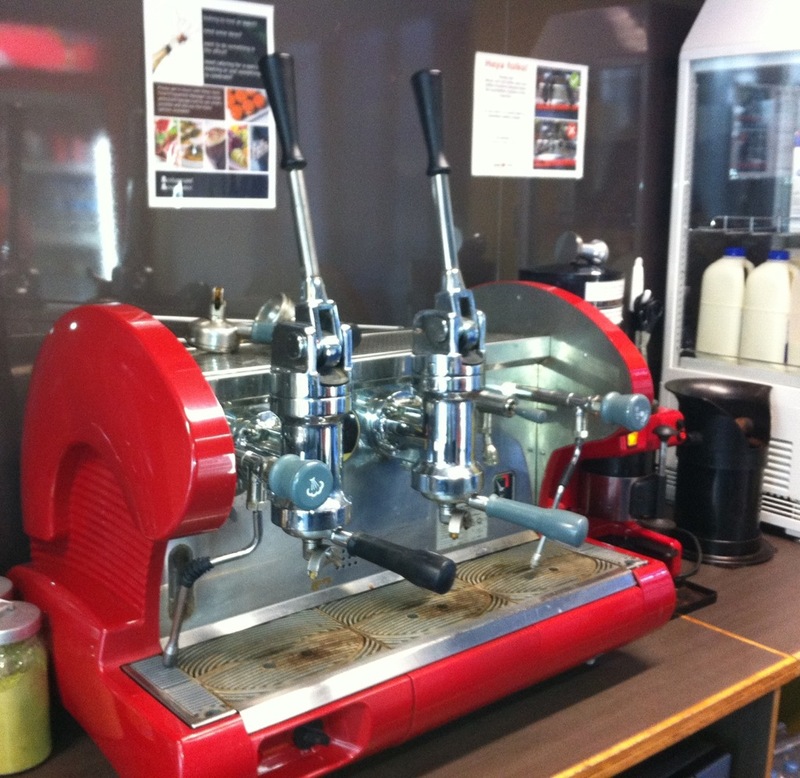 Big Red is the famous coffee machine in the Sydney office. Rumour has it that she was the first ever machine at Google Sydney. People treat her with pride and no little protectiveness. Armed with a cup of coffee, I read and respond to my email. There’s a lot of it. Email is our primary communication tool. I use Gmail’s special inbox categories to filter messages from people, notifications from various tools, and messages from special interest groups and forums. Next I set out a plan for the day, in the full knowledge that things are likely to change and my plan will join those of other mice and men. My primary tools for tracking work are the issue tracker and the code review tool used by the Google engineers. The documentation lives in the same repository as the code, and follows the same workflow. The software tools are in house and tend to be a bit idiosyncratic. But once you’ve got the hang of them, they’re satisfying to use. My dashboards on the issue tracker and code review tools show me what I’m doing, what I’m scheduled to do, and what I’ve done recently. They also offer a good way of collaborating with other writers, engineers and product managers – especially with people who are on a different continent. Meetings are also a big thing, to consolidate plans and designs and make decisions. We meet in person, via video conferencing, and via Google Hangouts. Here’s a weird thing that happens often: I’ll talk to someone via video conferencing one day, because they’re a few thousand miles away, and then they’ll arrive at my desk the next day and pick up the conversation as if nothing happened in between. People are travelling all the time. They often don’t even tell you they’re about to hop on a plane. It’s just the way things are. Back to tools. I also use Remember The Milk to remind me to do things like complete my weekly report, prepare for a weekly catchup meeting (which people call a “sync”), or buy a couple of chocolate fudge brownies from the nearby Pulse cafe on Friday. They’re to die for. Must you be able to write code, to be a technical writer at Google? That’s a much-debated point. I think it depends on the role within Google. For my role, I’d say you’d be at a disadvantage if you couldn’t hack some code together. Most of what we create is words. We write in HTML or Markdown, depending on our choice and on the existing format if we’re updating a document. We also craft code samples. For a developer wanting to use our APIs and frameworks, a code sample speaks a thousand words. A technical writer will usually ask an engineer for help with the code samples, but we need to lick the code into shape and judge its usefulness as an illustrative example. As someone who documents APIs, I get to play with code. I do a lot of command-line stuff, which is quite different from the wiki-based work that was the focus of my previous role. The tools I use now don’t have the power of the wiki in terms of integration with social media, rich text editing, and ease of use for non-technical people. But there’s a satisfying cleanness and simplicity to command-line input and text editors. Did you know you can colour your Linux command window? Did you even want to know that? Heh heh, it’s the kind of thing I rejoice in now. 😉 Mine is currently purple with yellow text and blue highlights. I swap to a black-on-white window when I’m forced to use a Linux line editor. Most of the time, I use a text editor (Komodo) on my Mac to edit the documentation files. We’re free to use the tools of our choice, when it comes to text editors, IDEs, image manipulation tools, browsers, and so on. 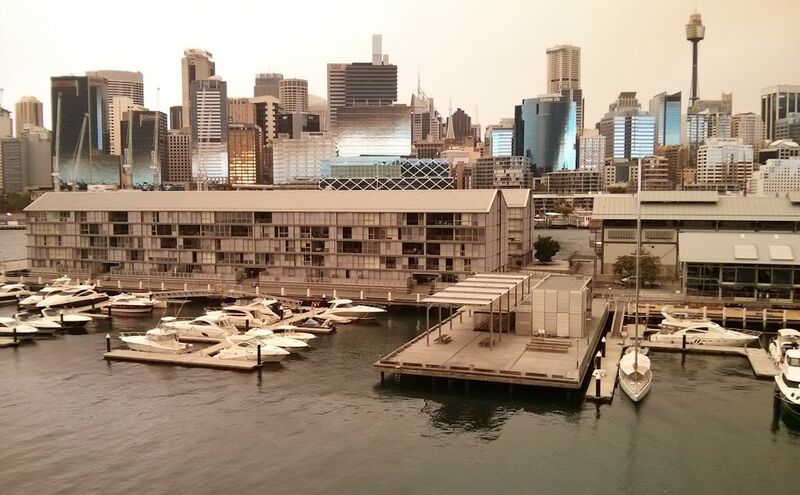 The Google Sydney office is in one of the most beautiful spots in the world. This picture shows the view from the balcony that surrounds the canteen. The San Francisco office has a stunning outlook on Bay Bridge. The GooglePlex in Mountain View is restful, green, leafy and colourful. Those are the only three offices I’ve seen so far. Three months, three offices. Not too shabby. I hope to see many more. Yes, the rumours you’ve heard are true. There’s food everywhere. We have a couple of “micro kitchens” on every floor. A micro kitchen is actually quite large, and boasts at least two types of coffee machine, a fridge full of drinks, shelves of snacks and fruit. Each building also has a “café”, which is a deluxe staff canteen serving a full breakfast and lunch. Some cafés serve dinner too, for people who are working late. The lunch consists of a well-stocked salad bar, soups, a full cooked meal of a different variety every day, and at least two types of dessert. Amazing. People talk about the “Google 15” – that’s the 15 pounds you gain when you join Google! Please feel free to ask questions by adding comments to this post. I’ll answer as best I can, as a Google technical writer three months into the role. Posted on 29 October 2013, in Google, technical writing and tagged Google, technical documentation, technical writing. Bookmark the permalink. 59 Comments. Thanks Sarah – nice to hear of the change. You have historically been such a big advocate for wiki based tech docs, does the change of scenery alter your take on that in any way? Hallo Josh, it’s nice to “see” you! I think a wiki is a great fit for documentation where there’s a need for collaboration by people from different job roles, and where feedback and discussion are important inputs into the documentation. The more advanced wikis offer solutions for version control and content reuse. The resulting documentation can also look very pretty. And the workflow can be as simple or as complex as you need. Still, there’s no perfect documentation solution, and no one solution that fits all use cases. A tech writer will work with the stakeholders to define requirements, and match the capabilities offered by the available tools. Hey Sarah – so nice to see you settling in so well. Appreciate the feedback; was curious given your change of scenery. I am also a big advocate of wikis for technical and business collaboration, and I use and promote (internally, where I work) the use of Confluence, However, for years, I have been disappointed with what appears to me to be a deliberate lack of interest by Atlassian in taking things to the next functional and quality level. Confluence has very annoying fundamental limitations. The UI is quite rough in places. I am currently using v5.2.5, and have used it for many years. It’s as if Atlassian has taken the Microsoft road to concentrating on adding on useless features (presumably because of feedback from their marketing department), but ignoring the need to do a serious revamp of the UI and the need to add 21st Century functionality. It’s better than Sharepoint though, for most purposes. I just wish there was something better than Confluence. It is primitive compared to what it could be. BTW, I generally don’t work in places that have the budget or time or inclination to hire a talented Confluence script language coder that can add functionality to Confluence that should already exist in Confluence in the first place. @Vald – sorry to hear you’re not happy with the direction the Confluence team has taken. As the head of marketing for Confluence at Atlassian I can assure you that our product roadmap is driven by a group of talented product managers with many years of experience in the collaboration and software development space. What we focus on is based both on mass customer feedback (you can submit and vote on feature requests on our public issue tracker), countless customer interviews and face-to-face conversations, and our own beliefs on what we feel is important. With regard to Confluence’s UI, we recently completed a major redesign of both the interface and user experience with our release of Confluence 5.0 in February of this year (see https://www.atlassian.com/en/software/confluence/whats-new/confluence-50). If you’re looking to extend Confluence’s functionality further then I encourage you to browse the Atlassian Marketplace (http://marketplace.atlassian.com) where you’ll find hundreds of add-ons – both commercial and free – that add extra capabilities to Confluence including publishing workflows, powerful content exporters, and diagramming tools. As someone who worked with Sarah for many years at Atlassian, it’s great to see her enjoying her new role at Google. Thanks for sharing, Sarah. Yes indeed, that’s music to a tech writer’s ears. Yes! I’m such a fan of Air New Zealand. Excellent service and good fresh air in the cabin. It makes a huge difference to my experience of the flight, and the way I feel when I get off the plane. Hey Vlad, long time no see! Thanks for dropping by. It’s nice to “meet” you! I’m so glad the book has helped, and you’re enjoying Confluence. Sydney Uni is gorgeous. I studied at Cape Town University (South Africa) but I’ve been to a few events and lectures at Sydney Uni. Twitter is also good, using the tag #techcomm. I’ll send out a tweet now and see if anyone responds with a comment on this post. I am an early college high school student who will simultaneously be given a high school diploma and an associates degree when I graduate. I like to write, and I am interested in becoming a technical writer. For my very first college class I have a job shadowing project, and I would like to ask if I could interview you by phone, email, or any Skype like resource to do my project. Thank you for reading this and I hope you can help me with my project. I am thinking of restarting my technical writing career. So what do you suggest to get my skills up to scratch so I can get to work for Google one day. Thanks for visiting my blog! I see you’ve already dropped in on the post about becoming an API tech writer. And that dabbling in Python is exactly the right thing to do. I’d also get a working knowledge of Java – enough to be able to read and explain code, and give advice on best practices. The most important thing, though, is to have a passion for technology and tech writing. There are tech writers in many different areas in Google, though in Sydney we’re focused on APIs and developer tools. I don’t know if they’re still there, but there were several deaf engineers at Google in Mountain View back when I was there in 2003-2007, one of whom I knew socially with respect to chatting, having lunch together, etc. although I didn’t work with him on anything. My understanding was that Google paid for sign interpreters to be with them during working hours, but I didn’t inquire in depth about how that worked, and don’t know if that’d still be the case today. After reading it, I’m considering applying for this position, but I’m not a native English speaker. Would that be a deal breaker? (I do have some experience in technical writing in my language). Having English as a second language isn’t a deal breaker. Fluent and correct written English is a requirement, of course. Judging by the language in your comment, it sounds as if you have a good command of English. 🙂 I’d encourage you to apply for the position currently open in Sydney. I’ll email you personally about it. I’m excited to see that you’re at Google! I used to lead the developer doc team there. I left because I wanted to pursue community documentation. Now you’re there, and I’m working with the Nokia developer community, and reading your book for the second time. It’s a small world. Enjoy Google! It’s lovely to hear from you! I love the title of your blog, WTFM. 😉 I’m thoroughly enjoying my role at Google. How is the Nokia developer community treating you? That sounds like a very challenging and fascinating role too! I guess you spend much of your time at http://developer.nokia.com/? I’m glad you’re happy at Google! Yes, that’s right. I spend my time on the discussion boards and wiki there. I love working with the Nokia developer community. I’m humbled by the generosity of people who spend their free time sharing their knowledge with others. And working with wiki docs is a lot of fun. People share some pretty neat tricks and workarounds. You mentioned your work on Google Maps. When I try to find places in countries that use other alphabets (China, Russia,, etc.) that are mentioned in online newspapers (SFChronicle, NYTImes,, etc. ), Google Maps can’t always recognize the word or spelling. Can your people program for variant spellings in English so that places mentioned by API and Reuters and other news services can always be located? This is often so frustrating. I just happened to stumble upon your blog while researching on technical writing. Could you tell me what qualifications/work experience Google looks for in its writing hires? Would they recruit someone just out of college? I graduate in August with a Bachelors in Computer Science and Engineering, so I was just scouting for career options. I’d recommend that you go ahead and submit an application, explaining that you’ve just graduated and are keen on a tech writing role. The recruiting team are awesome, and they’ll know if there are an graduate opportunities at the moment. They’ll also give great advice on the requirements and any further studying you may like to look at. I happen to be from India, so are there any hurdles I need to cross as an international applicant? And do I apply on Google’s Career Site or through some other channel? Sarah, thank you so much for writing about your experiences at Google and for offering such sound advice to so many people. Now, I’ve moved back to a large city and was overjoyed that Google contacted me. I had always wanted to work for them and I have worked for many big name software companies (Sun, Microsoft, etc.). Initially it went well Google but after I submitted my writing samples the team decided to pass. I don’t really blame them. I’m having trouble getting a good set of samples together. Some of the better samples I had were, for security reasons, hard copy only; I lost them because of the chaotic way I ended up moving back home. I didn’t have a wide selection to begin with because so many of the places I’ve worked for had security issues and did not allow me to take samples. At other places, I started on projects that failed due to sudden industry changes — like the iPhone quickly killing off its some of its competitors –so the samples from those projects were also unsatisfactory. So I’m wondering what I can do to improve my chances next time around with Google or with another company. The internal recruiter says that he will continue to look for opportunities for me, because I have a strong background, and I actually think he was not just being polite. For new samples I’m thinking perhaps that I should document something else, on my own. Again, something very much focused on APIs and SDKs. It’s the work I love to do. I’m strongest in C++ and Java but I wouldn’t mind at all learning a new language in the process of creating new samples. (In fact I have signed up for an online class for iOS/Swift). Do you think this would be a good strategy? Would Google be open to reading something that wasn’t actually written on the job? And, finally — and most importantly — do you have any concrete suggestions about what I might go about documenting, and where I can find the source for it? I’ve been out of the industry since 2009 and I need the practice. And I’d be very appreciative if you could point me to something or suggest a project that would help me stand out, show off my technical skills, and demonstrate that in spite of my time off I can work on the tech that people are using right now. Thanks so much for telling your story here. The Google recruiters are an excellent source of information, so if you already have this good relationship with one of them, don’t hesitate to ask him for advice. The fact that he’s said he’ll keep looking for a suitable position is a very good indicator. I agree with you, that the recruiter wouldn’t just say that to be polite. They’re keen to get the right people for the company. I have a couple of suggestions to get experience and some work samples. Firstly, you could take part in a doc sprint covering an open source product. Two organisations well-known for running open, public sprints are Mozilla and WebPlatform.org. The other idea is to look for a startup company which would be keen to have your expertise free of charge. I don’t know what happens in your area, but here in Sydney we have a few organisations that offer office accommodation, services and networking to foster the startup community. An example is Fishburners: http://fishburners.org/. Perhaps you could contact the organisers of such a community space, and see if they’re amenable to your turning up and offering your services to the “residents”. I’ve been to Fishburners and was very impressed by both the organisation itself and the number and calibre of startups in residence. Thanks for the excellent suggestions! I will certainly look into them. Thanks for the great information! I just recently applied for four different tech writing positions at Google. I’m a college student majoring in Technical Communications, and I’ve taken some computer programming courses, just enough to call myself a novice… but I love it! Is there anything you could tell me about these positions? I’d greatly appreciate it! Welcome to a fun, challenging and rewarding career! Those are four quite different roles. The first two are software-focused and most probably focus on educating external developers, the third will probably involve documenting hardware configurations for internal engineers, and the last will also focus on an internal audience. I’ll email you to find out what specific questions you have. I recently applied to two Technical Writing positions w/ Google and sadly didn’t pass the first stage — even with an employee referral and writing samples 😦 The recruiter commented that though I had the education and professional technical experience, they’re looking for very specific requirements. I often wonder if the fact I’ve never held a formal Technical Writing position is a fault. However, I’ve written documentation throughout my career as a developer/analyst. Any thoughts you might have would be greatly appreciated! If you’re too busy, I completely understand. I’m sorry to hear you didn’t get into those two positions. I can’t comment on the specifics, because there is a wide variety of tech writing roles at Google, each with differing requirements. The best thing to do is keep the conversation going with your contacts in the recruitment team. They’ll know if there are any other roles available that would be a good fit for you. All the best to you too! I do hope you find the perfect role. Thank you so much for replying! And thank you for your advice. In fact I was wondering whether or not to contact them in the near future! Its great to see Technical writers are given respect. In most of the places, documentation comes at the very end! I am also a technical writer and very much interested in working at Google. It is definitely “The Place” to work! Can you please help me how to go about it? To apply for a role, you can submit a résumé online. It’s also a good idea to have some samples ready, including writing samples and code samples if you’re interested in a role as developer products and API technical writer. If you can link to those samples from your resume, so much the better. I dropped in on your blog. Very cool! It’s fascinating how many technical writers do other types of writing too. As far as getting a role at Google is concerned, the best thing is to take a look at the roles currently advertised and follow the instructions to submit an application. Even if none of the roles fits you exactly, it’s worth submitted your resume along with a covering letter explaining what you’re looking for. In your case, you could mention that you’re interested in an internship, and ask for one of the recruitment team to get in touch with you. To answer your specific question about the resume: My recommendation is that your resume should be clear and concise in describing your current skills and experience. The resume or covering letter should also demonstrate a keen interest in technology and a love of technical communication. Great blog, Sarah! Thanks for an insider’s view of Google. That is so kind and generous of you! I’m a Stanford grad and tech writer in LA, CA. I also work at the movie studios and am happy to see you write fiction. Maybe we can swap expertise sometime (I analyze stories for the studios to buy and make into movies, but I’d like to be a tech writer at Google : ). It’s nice to meet you. 🙂 Analysing stories for potential movies sounds like a very cool job. It’d be fun to swap experiences. Do you ever have the chance to attend any tech writing conferences – for example, are you by any chance planning to attend Write the Docs in Portland, OR, in May this year? I’m glad you enjoyed this post about Google. I’m now 2.5 years in, and it’s still fun, challenging, and an ever surprising role. Sarah, I’m writing to you because I’m in the same waters as another poster. On and off, I have applied to 3-4 TW openings at Google in the last year. I really thought that I was a great match to a couple positions and had a good chance, but I never get called. (I have been a writer for over 15 years and I’m really good at what I do. I think. :-D) How do I get a callback? Sometimes I wonder if Google really even look at resumes submitted over the Net. EEK. Sorry about the gross typo. “Please keep ’em coming,” should be “Please keep ’em coming.” Period, not comma. I’m sorry to hear that you haven’t received a reply from the recruitment team. I’ll let them know about your comment. Hello, I am trying to become a googler like you and I was hoping to get some advice about what kind of qualifications I should have. Do you have any pointers for me? Hi Sarah, Thanks for sharing. It’s good to know what it’s like to be a technical writer at other high tech companies. As a technical writer myself, I feel like it’s more than ‘writing’ technical information nowadays. I wonder whether the technical writers at Google have been involved in any social media channels, such as creating videos for youtube, joining in some external user communities, publishing any other content, etc. It’s nice to hear from you. There are quite a few tech writers who’re active on social media channels. It’s a varied role, and many people enjoy sharing information and experiences with other tech writers. The “medium of the day” changes with time. Blogging seems to stick around, although people move to different platforms. The aptly-named medium.com is quite popular at the moment. A number of tech writers hang out in the “Write the Docs” channel on Slack too. Tech writers are also active on GitHub, and places where people ask questions, such as Stack Overflow. I’ve been to user group meetings and other events with customers, primarily to see how people are using our products. I’ve also created a few YouTube videos on how to use the products. Hi Sarah, Thanks for sharing your experiences. I enjoyed reading the blog and trust you are still having fun in the role. I am about to start my first tech writing role. What advice do you have for someone who is new to the profession? How good at coding do you need to be? What types of technical writing do not require a high level of coding ability? Congratulations on getting your first tech writing role! My advice for people starting out in a new role is to spend plenty of time listening to your stakeholders and agreeing on their requirements before you jump into creating docs. I do hope there are other tech writers at the organisation who can help you learn your way around. If there are small tasks you can do to start off with, that’d be ideal. Tech writing is a wide and varied role. Since you ask about coding, I’m assuming your new role is in the software industry, rather than other industries such as medical or aviation. If you’re documenting user interfaces or business processes, there’s less need to be able to code. My role is in documenting APIs and developer tools, where coding skill is much more important. Have fun in your new role! It’s great to read about your work and experience at Google. I’m actually looking to apply for the tech writer opening at the Sydney office and was wondering if I could ask you a few questions through email. If you’re on the interviewing panel, I hope that this isn’t cheating! Thanks for getting in touch with me! I’ll reply to you personally via email. Not sure if you’ve sent an email yet or if I typed in the wrong email but this email should be correct in case it was the wrong one.